I have created and am still working on a very long document of things I remember in my life, from birth until now. A year or so ago I asked friends and family on Facebook to send me memories they have with me. I am sending the document to both our sons for them to add things I haven’t already included. If you have memories you’d like to share, send me an email at rosalyn@selu.edu. This document will be available for Roy, Chip and their families to use. The more they know about my life the more they will know about to know if something I say is really about my younger life and not a hallucination. This document can also be used to bring up good old memories to talk to me about. They say old memories are accessible in someone who has dementia much easier than recent memories. I am creating a “Memory Box” of happy times in my life that I hope our family will use to connect with me when they visit later in this journey. I have over 100 photos in it and another 100 photos to send to Walgreen’s to print out. I wrote on the back of each of the first 100 photos the names of people in the photo to help my family, help me. I hope to also have in my Memory Box music, lots and lots of music. I’m working on collecting music that I have loved throughout my life. Hymns, gospel, contemporary Christian music, Choir specials and solos from Trinity Baptist (our church) Enya, The Cathedrals, The Gaithers, Gold City, Bruce Willis, Beatles, Monkeys, and others I can’t think of now. We’re figuring out how best to put this together. Old TV shows too like Green Acres, Petticoat Junction, Andy Griffith, Moonlighting, Bonanza, etc. Those are shows I will relate to and may help me. I LOVE READING so I also want my Bible on my Kindle to be in audio. Can’t imagine having anything better to listen to than words from God. I’ve been shopping for that lately. I like the idea of having children’s books to read when the time comes that my big girl books are too difficult to read. Madisyn gives me little stuffed bears that I cherish, they will be in the box. I want Christian songs, scripture and prayer to be a a big part of the environment I live in, just like we did for mama. One of the things near the end is a video that I hope you will watch. I will be like Gladys one day and my caretaker I hope will be just like Naomi. I know this got long but this is my time to share with those I love what I hope they will do to help me through what’s ahead. Merry Christmas to everybody from my husband Roy and I! We really hope everyone had a blessed Christmas day! Sometimes Alzheimer’s patients respond to things from earlier in their life, when they don’t respond to anything in their current lives. One of the things I wish I had known was this. 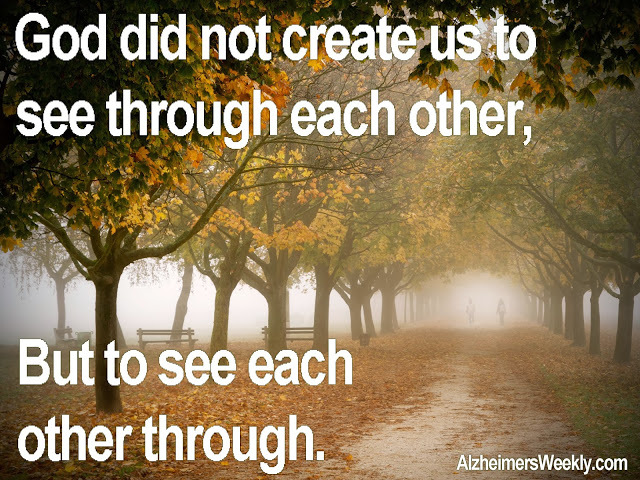 Not just that fact, but what I could have done earlier to be more helpful during Mama’s time with Alzheimer’s. Mama would say and do things that I thought were hallucinations. When I shared these things with my sister, who is older than me and knew more of Mama’s younger years, she realized that they were remembrances from Mama’s younger years. I wish I had taken the time to listen when mama told stories of her younger years BEFORE SHE GOT ALZHEIMER’S. Especially if I asked questions back then to learn more of her younger years, I would have had more knowledge of the reality behind her ramblings and been better prepared to help her. Of course, we can’t ask every question to be prepared for every memory they may have but the point is: Learn more about your parents or the elderly in your life. Not only may the things you learn help you help them later, but our parents generation’s experiences should be passed down from generation to generation, so their descendents will know about them. 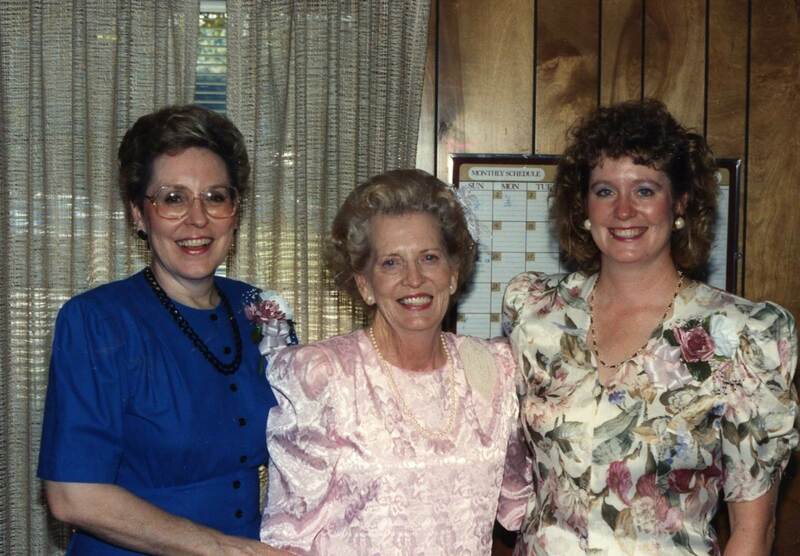 My sister Harriett, Mama (Josie Mae Blum Traylor) and myself on Mama’s wedding day to my step-dad Vivian Traylor. She was certainly a glowing bride! This was probably 20 years ago before she started showing any signs. LOOK GIRL, ONE DAY YOUR MOM IS GOING TO HAVE ALZHEIMER’S AND YOU BASICALLY WON’T HAVE HER ANY MORE, EVEN THOUGH SHE’LL BE PHYSICALLY HERE. LEARN ALL YOU CAN ABOUT HER LIFE SO THAT WHEN YOU ARE TAKING CARE OF HER YOU CAN BRING TO HER LITTLE BIZARRE WORLD SOME OF HER OLD MEMORIES. That’s the first message I have for you today. If your loved ones breathe their dying breath and didn’t experience a moment of Alzheimer’s you will still have more and deeper memories of them to sustain you in their absence. But if your loved one breathes many breaths enduring the horrors of Alzheimer’s, you’ll be ready and better prepared. Second topic today is how to create an environment, in their little bizarre world, that is helpful to them. God is so important to me that He’s in all aspects of everything in my life. He was certainly the Rock I leaned on during my time as a caregiver. Mama had a very deep love for the Lord and was very faithful to Him throughout her life. Because of this we tried to make Christian songs, scripture and prayer a big part of the environment we provided for Mama as often as possible. We reached out to friends who sent video tapes of the Gaithers, the Cathedrals and other Christian gospel groups. I often heard my sister singing to mama Jesus Love Me and other songs she knew Mama would recognize. Every day we read scripture to her and people who visited did the same and always had prayer with her. Even near the end, as far along as the day she went to live with God, we did these things. We did not do this this next thing but I wish we had. Get children’s books with lots of pictures in them and big words that are easy for them to handle (just like they are for the little ones with clumsy fingers). A picture book Bible of stories they’ve known since childhood with thick pages can take the place of their own Bible with thin, hard to manage pages. If your loved one had an interest or two that you can build a comfortable world for them, try it. They may love country music and old westerns, oldies music, old black and white movies, all things cajun, or they lived in the country and loved cows and pigs. Bring those things into their little world (maybe not live cows and pigs) and you’ll be surprised at how they will respond to it. Again, I’m not an expert, but doing this for Mama was such a positive light in an otherwise dark existence, that I can’t help but believe it would carry over to others. Putting pictures of loved ones and happy memories near them (remember eye sight is poor), using their favorite quilt or blanket, putting a small Christmas tree by their bed and other seasonal things throughout the year will brighten their lives when they look at them. Providing something soft near them to fiddle with (and they do fiddle and fidget!) gives them something to do. Here’s a link to a video about giving comfort to them and you’ll see the response Gladys has when Naomi touches her cheek and sings songs to her. It’s amazing what that does to bring them out of their shell. Pay close attention to this, it says so much more about the effect of touching them and really connecting than I could ever say in words. This is powerful stuff! My deepest desire is that everyone will know about Jesus Christ and come to know him as their Lord and Savior. If your loved one is not a Christian I urge you to share with them about Him early on in their diagnosis when they can still understand things. If your loved one dies without accepting Him as their Lord and Savior they will go to Hell. Not something people like hearing or talking about. But it is a reality that when you die you will go to Heaven or to Hell. Since you love your family member or friend I’m thinking you’d want to know their eternal life will be spent in Heaven with Jesus rather than the alternative. When Mama died we were with her, and what a comfort it was to all there to know that when she left us in this world, she immediately went to be with Her Father in Heaven. She is now dancing with the angels and happier and healthier than she’s ever been. God said He’s prepared a place for us and she is now very deservedly living in that place. We miss her and often wish we could have her back but I can picture her up there shaking her finger saying “No mam, I’m where I was meant to be.” Please come back next time when I’ll share another important aspect of caring for someone with Alzheimer’s. If you want to get an email whenever I post a blog (I write about other things, not just Alzheimer’s) find the “FOLLOW” box which is usually to the right hand side somewhere, enter your email and respond when the confirmation email is sent to you. I really enjoyed reading this post. My grandmother while never actually diagnosed with Alzheimer’s that I am aware of, we just assumed that is what she had. I was a young mother, and working wife at the time. My son was about 2 when her memory really got bad. My biggest regret in my entire life is not spending more time with her. I didn’t know anything about the disease and at the time no one offered the support that is out there now – or at least not in our small hometown. This is such a well written piece and I only pray if any of my family members or myself suffer with this that I/they will take the time to learn more and make life better for the person impacted. 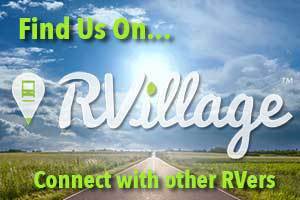 Thank you so much for sharing your journey. Thank you for your comment. My original intent in writing this blog was to share with others so they wouldn’t have to go through the struggles like you and I both did not having the information we needed. Please feel free to share a link to this blog with anyone you know that is dealing with a family member or friend with dementia. Take care and God Bless You Cherie!